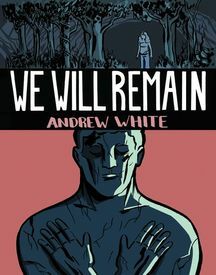 The most formally ambitious issue yet in the Retrofit Comics series published by Box Brown, Andrew White's We Will Remain contains five shorts works which together serve to showcase White's native abilities as well as demonstrating that he has absorbed some of the key lessons of Frank Santoro's comics correspondence course. Recommended for those who appreciate the work of David Mazzucchelli and Dash Shaw, as well as Santoro, We WIll Remain starts off with a dramatic shift from the micro to the macro as the small scale personal work "The Deep End" gives way to the cosmic conundrum of "Travel" before heading into a trio of formal experiments, "As Leaves Change Color", "Out of Focus" and "We Will Remain", all of which deal with the challenge of connecting personal memory to impersonal place through the mediation of a historical consciousness forged in unique combinations of words and pictures. 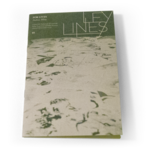 BACK IN STOCK – AND ON SALE!! !